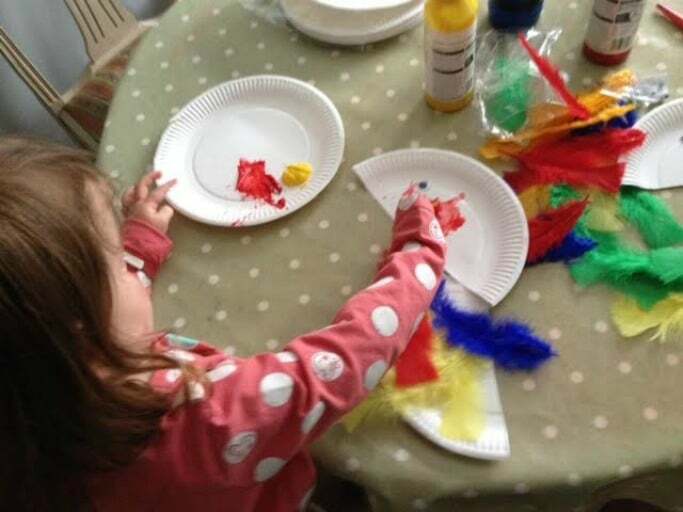 It feels like we haven’t done any paper plate crafts in a while, unusual for us as they’re normally our fall back craft activity in this house, paper plates are so cheap and there’s so many things you can make from them! 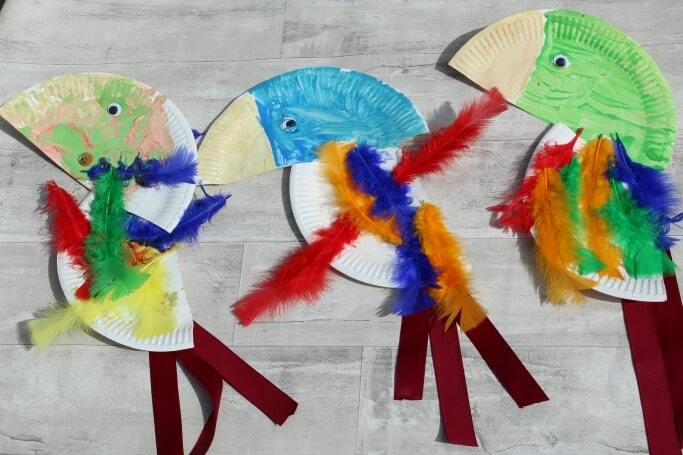 My kids made these paper plate parrots after school this week and they were a great way to do a bit of crafting together and have a bit of screen-free chill out time. They make great crafts for toddlers as one of these was made by my two year old but my school aged son (and me!) loved making them too. 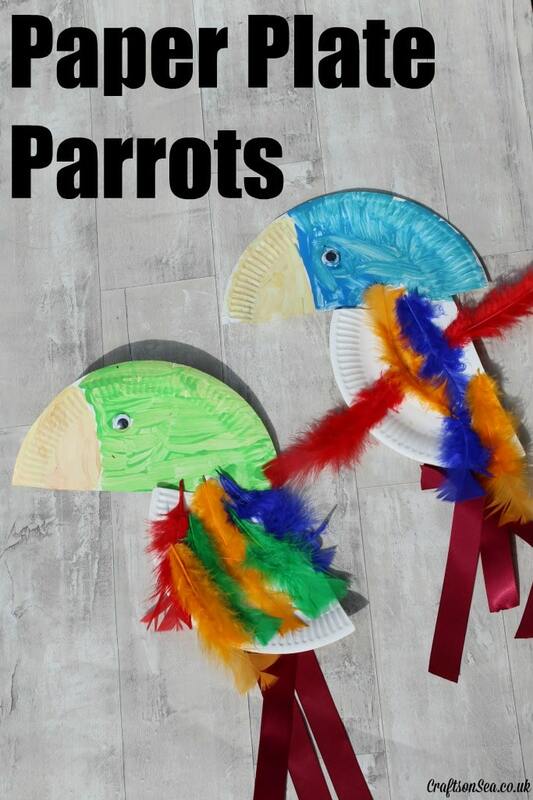 To make these paper plate parrots all you need to do is cut a paper plate in half and then stick the two parts together to make a parrot shape. We found that this worked best if you cut a tiny bit of the back plate off to make it flatter. Paint, add feathers and googly eyes (always an essential!) I did this craft alongside my kids to keep them company and I’m not sure you can tell which one mine is?! So these three are made by a two year old, a five year old and a thirty six year old. Kind guesses only please! Love paper plate crafts? Yep, us too. Make sure you follow my board on Pinterest for loads of fun ideas. Follow Kate Williams CraftsonSea’s board Paper Plate Crafts on Pinterest. You’ve just rescued me! My 5 year old’s homework this week is to make something for their pirate role play area so this fits the bill perfectly, thank you! Ahh that’s great to hear – glad it helped!